The members of the Prix de Lausanne Video Selections Jury Panel deliberated but eventually chose 71 dancers to participate in next year’s prestigious ballet competition. Along with the nine pre-selected candidates, a total of 80 dancers will take part in the 47th edition of the world-renowned competition in Switzerland from February 3-10, 2019. The video selections took place on October 25-28 in Lausanne with a panel of nine jury members, all professionals from the world of dance. There were 363 applicants (273 girls and 90 boys), from 40 different countries, who sent their videos. A total of 71 dancers have been selected after this selection and nine candidates were pre-selected in either New York City (at the occasion of the Youth America Grand Prix), in Goiânia (at the official South American Prix de Lausanne’s pre-selection in Brazil) or in St. Petersburg (at the occasion of the Vaganova-Prix in Russia). There are now 80 selected dancers (44 girls and 36 boys) that will take part in the Prix de Lausanne 2019. Of the 80 selected candidates, 10 are from the U.S. and nine are from Australia. The country with the most candidates is Japan with 14. South Korea comes in with 13 and China with eight. Here are the U.S. candidates: Mackenzie Brown (Académie Princesse Grace, Monaco); Olivia Daugherty (International Ballet School); Parker Garrison (International Ballet Academy); Erik Kim (University of North Carolina School of the Arts); Mackenzie Kirsch (Dance Center of San Antonio); Soana Madsen (VM Ballet School); Harold Mendez (Sarasota Cuban Ballet School); Basia Rhoden (Master Ballet Academy); Rheya Shano (The Brookline Ballet School); and Julia Shugart (All American Classical Ballet School). To see the full list of names of 2019 selected candidates, visit www.prixdelausanne.org. Discover the 2019 applicants’ list of nationalities here. 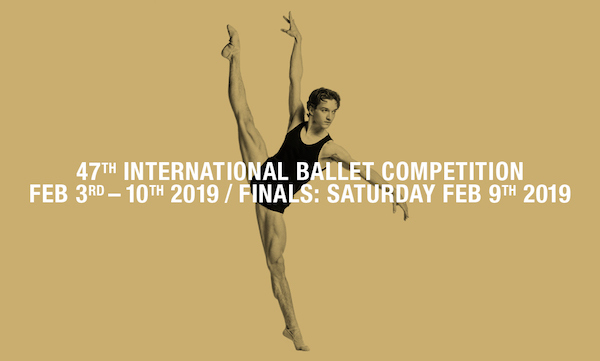 Note that tickets for the Prix de Lausanne 2019 events will go on sale from Tuesday, December 18 at prixdelausanne.org.